Over the last few years, banks have been facing a serious bad loans crisis. When banks lend money, their loans count as an asset, since they will receive interest from the borrower and expect to have the original amount paid back in full. A loan becomes a non-performing asset (NPA) when the borrower defaults on the repayment for more than nine months. When a bank writes off NPAs, its capital is likely to be eroded and limits its ability to lend further. A well-capitalised banking system is needed to ensure a sustained flow of credit in the economy, meet regulatory requirements under the Basel-III norms and provide for stressed assets. Strong common equity tier, was a key reason why Indian banks were shielded from the global financial crisis of 2008. Common Equity Tier comprises a bank's core capital including common shares, stock surpluses resulting from the issue of common shares, retained earnings, common shares issued by subsidiaries and held by third parties, and accumulated other comprehensive income (AOCI). Recapitalisation of banks after the global and Asian crises highlighted that credit growth and capital are the two prerequisites for economic revival. However, the Indian banking system, particularly public sector banks, has witnessed systematic capital erosion over the past years amid economic slowdown and worsening of asset quality. As of March 2017, total stressed assets in the Indian banking system stood at 12 percent of total gross advances. 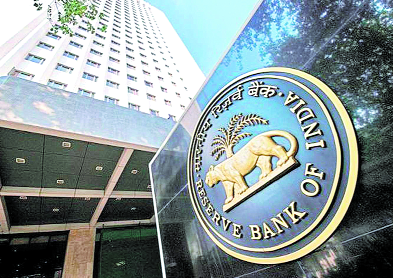 To clean up non-performing assets (NPAs), the Reserve Bank of India (RBI) introduced the Asset Quality Review in 2015 and implemented the Insolvency and Bankruptcy Code 2016. These measures prompted banks to write down their books to realistic levels, resulting in a shortage of capital. As of 2016-17, the pile of bad loans given by Indian banks stands at nearly Rs 10 lakh crore -larger than the Gross Domestic Product of many countries. The damage this is causing to public sector banks could be partially offset by giving them more capital. This is what the government is hoping to do with this scheme: hoping to help banks write off a percentage of their bad loans and improve their balance sheets. The finance ministry on, 24th October 2017, announced a Rs 2.11 trillion bank recapitalisation plan for state-owned lenders weighed down by bad loans, seeking to stimulate the flow of credit to spur private investment. It is expected that the bank recapitalisation would ensure genuine borrowers get adequate funding, support credit growth and job creation. This announcement has come at time when PSBs are capital starved and hobbled by non-performing assets.The government is seeking to kickstart the private sector investment cycle to boost the Indian economy that grew 5.7% in the quarter ended June, 2017. The Rs 2.11 lakh crore capital infusion into the banking sector will come over the next two years. It will come in three parts. The government itself will directly pay banks Rs 18,000 crore by buying their shares. It will also encourage banks to raise Rs 58,000 crore from the market. But the bulk of the amount - Rs 1.35 lakh crore - is expected to come from recapitalisation bonds. Most public sector banks need capital to not only meet the regulatory minimum capital requirements but also for cleaning up their balance sheets, which would force them to set aside more money to cover bad loans. This recapitalization will allow for a calibrated approach whereby banks that have better addressed their balance-sheet issues and are in a position to use fresh capital injection for immediate credit creation can be given priority while others shape up to be in a similar position. This provides for a good way of bringing some market discipline into a public recapitalisation programme compared to the past recapitalisation programmes. A well-capitalised banking and financial intermediation system is a prerequisite for stable economic growth, history has shown repeatedly that it is only healthy banks that lend to healthy firms and borrowers, creating a virtuous cycle of investment and job creation. These funds will help in efficiently managing risk and credit capital related requirements of the banks. These steps will also encourage private participation thus boosting growth going forward. The thrust to infrastructure will generate direct and indirect positive cascading effects for lot of related sectors and will create feel good factor for all stakeholders. Credit growth in the banking system has remained sluggish for some quarters due to lack of demand for big-ticket corporate loans. Partly, that was also result of weak capital position of the banks as it restricted their ability to lend. Currently, banking sector's credit growth stood at 7% year-on-year as per the latest data by the RBI. Industry experts believe that banks require much more capital than the budgetary allocation. According to an estimate by Moody's Investors Service, 11 big state-owned banks will require additional capital of Rs 70,000-95,000 crore, against the Rs20,000 crore budgeted until March 2019. Bank recapitalisation via special recapitalisation bonds is an approach the government used in the 1980-1990s. Between financial years (FY) 1985-1999, the government infused Rs 204 billion into public sector banks via recapitalisation bonds. As Indian banks are sitting on a stressed asset pile of close to Rs 10 trillion, crimping their ability to give fresh loans; of this, gross non-performing assets (NPAs) account for Rs 7.7 trillion and the rest are restructured loans. According to some experts, considering the government's current fiscal position and the huge bank recapitalisation requirement, this method of capital infusion is possibly the best option because not all PSU banks are in a position to tap markets given the asset quality issue. As per Finance Minister Mr Arun Jaitley, the government will stick to the 'glide path' for the fiscal deficit and that the impact of the recapitalisation bonds on the fiscal position will depend on its legal nature and the issuing agency. The budget has set a fiscal deficit target of 3.2% of gross domestic product for this financial year. While banking analysts agree that putting more capital into stressed banks is a positive thing, but how much good no one probably has the answers. On the other hand, estimates suggest that the public banks would require about Rs 2.3 lakh crore of capital if they are to fulfill the requirements under Basel III norms on improving efficiency and transparency in the banking system. The norms, which are voluntary, are supposed to be met by 2019. Under International Monetary Fund conventions, recapitalisation bonds are not added to the accounting of the fiscal deficit, because they are offset by buying shares in banks. In India, however, they have in the past been taken into account, since the government will have to pay interest on the bonds and eventually repay the entire amount. As per Mr Jaitley -the question of whether they will add to the deficit will depend on who is issuing the bonds and what their nature is, so this question is yet to be answered. Either way, the interest paid out on the bonds is likely to be added to the deficit as soon as they are bought, since that will come from the government. The recapitalisation is also expected to shore up the balance sheets of the banks, thereby making it easier to divest their shares. Further, the assumption could also be that the recapitalisation will help the banks improve their business, leading to higher profits. This would in turn lead to higher dividends for the government for the capital it would infuse, offsetting the interest burden from the recapitalisation bonds. In any case if the bonds are intended to be issued for the purpose of strengthening the banking system itself then it will go in the larger interest of the economy. As per RBI Governor Mr Patel "Financial sector policies should support growth while maintaining financial stability. On behalf of the RBI, I commend the government on its bold steps in this direction, starting with implementation of the Insolvency and Bankruptcy Code that is helping resolve the underlying corporate stress, and culminating in yesterday's announcement of the public sector bank recapitalisation programme." It is expected that bank recapitalisation to benefit the economy. Some experts believe that assuming Rs 700-750 billion is available to banks as growth capital and a leverage ratio (loan-to-equity) for banks of eight-nine times, the available growth capital should enable banks to extend additional loans worth Rs 5.8-6.5 trillion (7.3-8.3% of outstanding credit). To conclude, Overall, the bank recap is a growth positive step. Given that capex weakness is due to excess leverage (which the recapitalisation addresses), private investment should pick up over time as capacity utilization improves. It should also be neutral for monetary policy as it improves growth prospects and monetary transmission. In fact, there are other global events such as the volatility in crude oil prices and widening of global trade, which would affect the bond yields. Globally, investors are gung-ho about Indian bonds due to the high real rate of return. The next few months are crucial, as the government will keep a strict check on its expenditure to maintain the projected fiscal deficit balance. But some decisions like the very concept of loan waivers and other compulsions like interest rate subventions should be reconsidered. While there could be compensation by the States, the ethos of banking gets eroded when there is official sanction for a culture not to repay loans, which stretches to all sections. Curiously, as of March 2017, the share of priority sector loans in NPAs for PSBs was high, at around 30-40 per cent. While there are arguments for such lending, from the commercial point of view it is high-risk. When regulation makes such lending mandatory, the same ideology gets extended to sectors like infrastructure which further adds to the risk. Overall, this is a welcome move, if one looks at it with a long term view. With RBI taking a hawkish stance, inflation will ideally be in the range of 4-5%, making government securities attractive. Strict monitoring needs to be ensured so that recapitalisation is aimed at bringing about a change in the mind-set of PSU banks. Absence of which could exert pressure on the exchequer and may result in a credit bubble. The overall package of PSU bank recapitalisation is expected to kick-start the credit cycle, especially to small and medium enterprises, reviving stalled private investments and creating jobs in the medium to long term.